Over the past two weeks, I have been to Suzhou, Hanzhou, and Shanghai, and participated in an absurd volume of activities. I'll have to just break this blog post up to make it anywhere close to readable. I'll spice it with as many pictures as I can, as tedious as that process sometimes is. In any case, Alex's departure marks the halfway point of my summer in China, leaving me with a plethora of happy memories, and a growing fear of the looming departure date. As I type this entry, I'm in a ballroom where I should be teaching line dancing, however, the old women attending are practicing the choreography for some traditional dance they have been working on for a few weeks. This is the last of many times that I find my position as an intern for Red Wings somewhat useless. The community invited me to teach dance, instead, I sit and watch as old ladies do whatever they want. When I give a lesson on culture or communication, the old ladies gossip loudly to eachother. During the English lessons (of which I have given two, and have a final tomorrow), they pay some attention, however the only active participants were the staff of the community that hired me, who I think only attended because they needed to lock the door behind me when I was done. I rarely knew when or where my lessons were going to be, or even what they should be about. However, the times I have been able to have a successful lesson (usually at someone else's community) have all been great fun and very enriching. The cultural activities, dance lessons, and shows contributed significantly to my development here. While the Red Wings job wasn't the greatest, I am grateful to have done it. 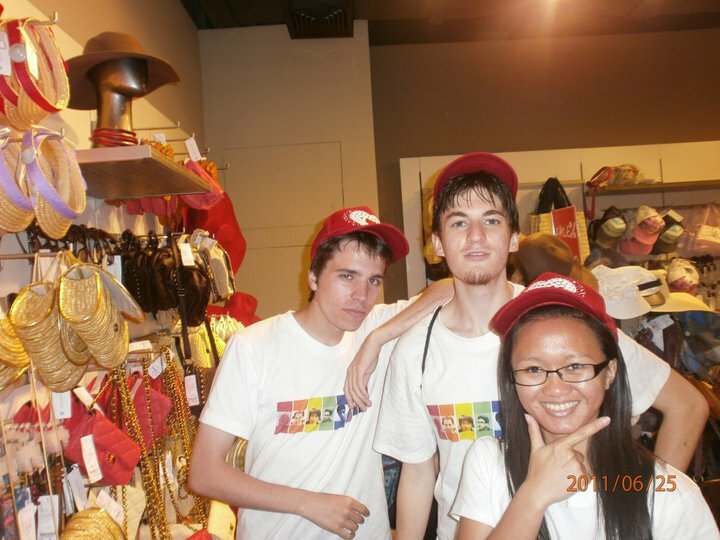 Our trip to Shanghai heralded the end of our time with Alex, one of the closest friends I have made in China. Having recently received a bachelor's in biology, Alex will be attending medical school this fall, probably in Chicago. His rich stories about his shenanigans in Michigan with his Chinese girlfriend provided a hilarious background to his travels in China with us. Halfway through his undergrad years, Alex learned about the importance of extra-curricular activities from his post-grad adviser. So, he desperately joined as many organizations as he could, one of which was the Michigan ballroom dance team, the jacket of which he proudly wears in many of the pictures I have of him. Without his experience in ballroom dance, our dance lessons would have been an utter failure, as I doubt that old Chinese ladies are interested in learning how to rave to dubstep. Each EP learned their dances from him, and then passed it on to their communities. While in China, I have been learning more and more to appreciate every single second. The August 13th plane ticket is like a death sentence. I kept having a recurring dream, in which I am back in the States, and thinking about China. In the dream, I can't help but sadly remember China, the experiences I had, and the fact that I can never have them back. I don't know if I'm doing it right now, because I haven't had the dream in a while, but I still feel like I must do even more to make the most of this trip. The loss of Alex is the second mark on the tombstone of the trip – Ellie being the first. I will never create any new experiences with him in China, and as I think back on the mere 6 weeks I had with him, I can't help but wonder if I made the most of the time I had. We went to Shanghai for a training lecture on AIDS by Standard Chartered bank. The city was as good as I remembered from my first trip, although it did rain pretty heavily on our second day. We got a pretty nice hotel, which I didn't have to pay for, along with the train ticket, which alone made my trip. I've had to cut corners lately, since I pretty much spent all my money traveling across China. Not that big of a deal, I should have a paycheck coming in soon for my latest job. 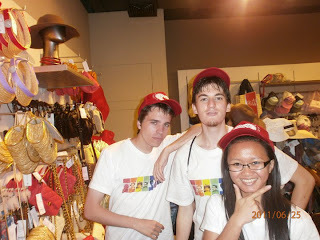 Anyway, all the foreigners were on the trip, as well as most of the AIESEC LC, so it was great to hang out with everyone. After some confusion at the front desk, we taught the AIESEC LC to lie to hotels about the number of people staying in each room. After that, it was an AIESEC style night on the town. Not quite as exciting as one might hope, we just got dinner at a sub-par restaurant and walked around a skywalk. However, the company and view made it great. While walking around, I met a photographer from Ireland who was taking sustained shots of Shanghai traffic. He would take hundreds of pictures of his travels and then sell them on stock photograph websites. Sounded like a dream job, really. The greatest part of the night was, for me, sitting on the bank of what I believe is the Yangtze river, watching the cargo ships chug by to a background of the brightly lit "Foreigner's Town." The AIDS lecture the next day was made hilarious by Alex's incessant stream of "No, wrong, that's wrong, that's not how viruses work." However, the bank did bring in someone infected with HIV, and it was interesting to see how healthy and happy he was. I had always assumed that getting infected with HIV was basically a death sentence, but this guy was expected to live to a ripe old age, and even planned on having kids. Another interesting insight into what I'm starting to think of as Chinese doublethink: When we asked him how he became infected, his response was translated differently by every Chinese person we asked. One said, "He touched dirty equipment." We asked if she meant drugs. She looked horrified and said "No of course not!" Another Chinese person said "He got a bad blood transfusion." Meteor denied it all and said "he did drugs." Whatever the case, he seemed perfectly fine, if a little nervous. At the lecture, I got to meet a few other EPs. Two were from Russia, and one was from Mexico. It was interesting to hear about China from the Russian, since they share a border, however I found that neither she nor her friend really knew what happened on the other side of Siberia. As interesting as our conversation was, we unfortunately failed to exchange contact information, and so all three are now forever lost to the sea of busy Communists. I have been learning the importance of getting contact info as soon as possible, especially for interesting characters like other EPs, or the supposed great grandson of John. C. Calhoun that we met in Huangzho. Unfortunately, the trip to Shanghai wasn't nearly as exciting as our last one. AIESEC didn't even have a very good going away lunch for Alex – we just plopped down in a mall cafeteria and then rushed him off to the train station. Meteor and I opted to accompany him all the way there, whilst the rest of the LC bussed of to Ningbo without us. After taking caring of Alex, Meteor and I wandered aimlessly around the train station, trying to find the subway to the bus station but repeatedly forgetting we were doing so. As a result, we missed the last bus to Ningbo, and opted to spend the night in Shanghai. The local hotels proving a bit too costly, we explored some of the local student hostels, and finding them to be little more than glorified closets with "beds," we gave some lady 100RMB to stay in her house, which she had converted into a sort of bed and breakfast type of thing. It was actually a fairly nice setup. We rested well, and the next day, made it to Ningbo without a hitch. The new job is great, as are the new roomates. All will be told soon.